10% Off entry to all NHS staff when Blue Light card is presented at reception. 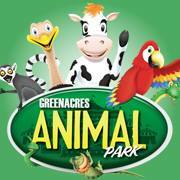 There's so much to see and do at Greenacres Animal Park! Meet our range of domesticated, zoological and farmyard animals, get up close and personal in our pets corner and enjoy our funfair rides, play barn and other attractions throughout the year!